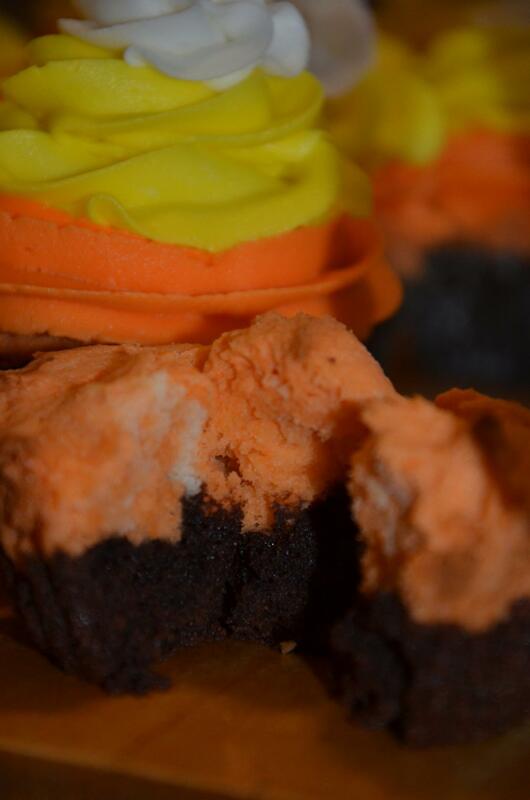 Gluten Free Candy Corn Cupcakes. Brownie Bottom Cupcakes. Love Jesus free printable. 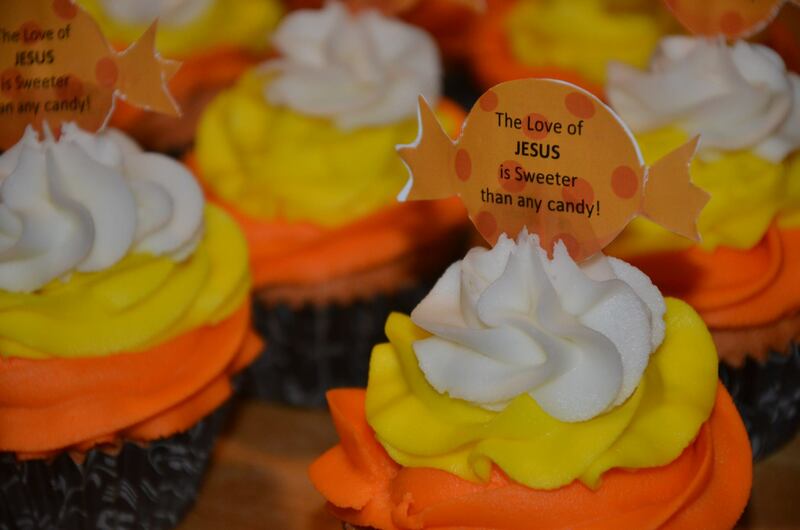 At the By Grace Cakes bakery, we look at Halloween as a chance to preach Christ. Here are a few simple ways to keep Jesus Christ at the center of your Halloween. What does it mean to keep Halloween child-like? Let this night be for Christ first, and then for the kids. Keep this in mind when picking out costumes and decorating your home. When opening up the door, to hand out candy, kids should ooooh and aaahhhh over a fairy princess! Don’t let it be a scary zombie or inappropriately short dressed red riding hood. Keep is a a fanciful night of fun for your kids, like seeing his or her favorite characters come to life. Christian Pumpkin Stencils – I like everything but the communion cup. I do not support third party views of the links provided. Skip the witches brew and the skeleton bones and stick with candy corn treats, God’s beautiful fall leaves, and pumpkin patches. Here is a free printable Halloween Cupcake Topper, to keep your fall family day, Christ centered.